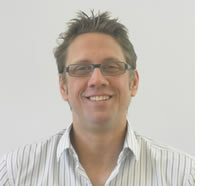 Aidan Berry is a Chartered Accountant who has over thirty years’ experience in academia. As an academic he has managed Brighton Business School for over 15 years and prior to that was head of the department of finance and accountancy. He was made Professor of Accountancy at the University of Brighton in 1994 acknowledging his contribution of accounting education and to research in the field of accounting information usage. He is the author of six books, four of which are introductory accounting textbooks written specifically for accounting, business, hospitality and tourism students. His other books are ‘Bank Lending; beyond the theory’ and ‘Selecting and managing a non-executive director.’ His research is mainly concerned with small firms and covers a range of related topics including their use of non-executive directors within the firm based on surveys with a wide range of small business owners and in-depth interviews with both the managing directors and non- executive directors in a sample of small firms. Other work includes the extent and the ways in which accounting information is used by small business owners in decision making and managing their businesses. Of particular concern over twenty years has been research relating to small business finance. This research looks at aspects of small business finance from the point of view of the provider (UK and European Bankers), the small business owner and their advisers. He is the author of a research report ‘Banks, SMEs and Accountants: An international study of SME banking relationships’ commissioned by the Association of Chartered Certified Accountants. This study includes participants from five countries and compares and contrasts the experiences and requirements of small business owners and their advisers in accessing and using finance in those countries. Ala Subhi has been working as a Broadcast Journalist and Duty Editor for the BBC Arabic Service in London for more than 10 Years. He worked as a broadcast journalist for the last 18 years in Khartoum, Lyon and London working for Sudan Radio and TV, Euronews, Amnesty International and the BBC. His work experience includes newsroom and field reporting with Television, radio and online from different Middle Eastern and North African countries such as Manama, Doha, Cairo, Tripoli, Khartoum, Casablanca, Nouakchott, Ankara and Pakistan, as well covering issues related to the Middle East and North Africa in international events such as NATO Summits and Davos Forums. Subhi holds an MA in Television Studies from Birkbeck, University of London and has special interest in the impact of transnational television, political communication, social and new media and development issues. Allam holds a Ph.D. in Technology and Knowledge Transfer for Development from Edinburgh Napier University; awarded the Royal Agricultural College University Scholarship and Prestigious Book Prize for Best MSc/MBA Dissertation; and Fellow (FCIM) and Chartered Marketer of the Chartered Institute of Marketing (UK). 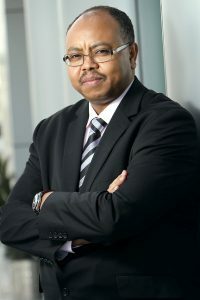 Allam is a Visiting Professor and Director of MEKEI, University of Brighton and is based at SPRU – Science and Technology Policy Research, University of Sussex where he established and led the postgraduate programme MSc International Management. He has been fortunate enough to have a wide variety of teaching and professional experience across the world including leading (2009-2011) the Government of Abu Dhabi major and first of its kind in the Middle East Knowledge Management Framework (Musharaka); working with various universities in the UK (Edinburgh, East London, Leicester); Marketing Data Basics; British Marketing Research Bureau International; New Generation Systems; Yuksel Insaat Saudia Company (KSA and Turkey); and Middle East Office for Translation and Interpretation (KSA). He has published widely on how knowledge and technology transfer (TT) contribute to Sustainable Development and competitiveness in the developing countries. Allam is the recipient of several international Awards and Medals and listed in the WHO’S WHO IN THE WORLD 2009-2013, WHO’S WHO IN FINANCE and BUSINESS 2009/2010 and WHO’S WHO IN AMERICA 2012 published by Marquis Who’s Who, USA. He is the Founding Editor-in-Chief of WJSTSD, WJEMSD and IJIKMMENA; Founding President of World Association for Sustainable Development (WASD); and Founder of Sudan Knowledge (SK). Expert Advisor to the European Commission on International Scientific Cooperation; and has worked extensively for the World Bank, UN, EU, referee for the UK Economic and Social Research Council (ESRC), Dutch Research Council, World Food Programme, FAO, Oxford University Press and for various governments, in Africa, Europe and the Middle East. Richard is a Director and Co-Founder of Smartlogic. He has 20 years experience in the knowledge and information management industry and has worked for a breadth of organizations from Eastman Kodak to small start ups, SilverStream Software (since bought by Novell). Focusing on helping clients build business cases, sell the business value inside organisations and help build strategic roadmaps, Richard is very well placed to help teams at the tipping point of business change. Specialising specifically on subjects such “findability”, and applying taxonomies and ontologies into real life business applications he is capable of bringing to the table many case studies. These include: Yell. Com – Working with the CTO of Yell, an agreement was made to co-develop and co-fund a product called Thes Builder (now Ontology Manager). Some 5 years on the product remains central to both Yell’s and Smartlogic’s business; UK Government Sector – Having recognised a key compliance issue in UK Government, including eGMS (eGovernment Metadata Standards), Richard worked with over 50 local and central government organisations to help them implement a solution; McClatchy-Tribune Information Services – Working with their executive team Richard has been helping them to fundamentally change their Information management strategy; UK Parliament – Richard has been working with the House of Parliament for the last year to help re-engineer their Library Thesaurus Management solution. As well as having knowledge of Smartlogic’s solution and the technologies that surrounds it: Content Management Solutions, such as SharePoint and Enterprise Search Engines such as Google and FAST, he also has experience in consultancy. Having run a 15 man consulting organisation, TFPL, he has worked on as range of projects including a Content Migration Project for Clifford Chance (Global Lawyer Firm) and an design, build and implementation of a new taxonomy into Unison (UK’s largest Trade Union). Prof. Al Hawaj ranks in the top echelon of educational leaders in the Arabian Gulf. He holds a PhD and MSc in Applied Mathematics from the University of Manchester and a B.Sc. (Hon.) in Mathematics from the University of Kuwait. In 2010, he has been elected as the President of for the Association of Arab Private Institutions for Higher Education. Since 2001, among his portfolio of managerial responsibilities, Prof. Al-Hawaj has served as the President of the Bahrain Association for Academics. 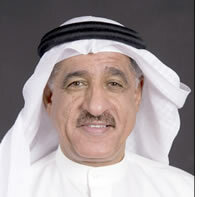 More recently, Dr. Al-Hawaj’s trail blazing contributions in the sphere of educational advancement in the Kingdom of Bahrain were recognized by his being appointed – by royal decree as a member of the Supreme Committee for the Kingdom’s National Charter, in which he serves as the coordinator of its Educational Committee. Prof. Al-Hawaj launched his distinguished academic career at the University of Bahrain (Dean of Student Affairs, Chairman of the Department of Computer Sciences, and Chairman of the Department of Mathematics) and he attained the rank of Professor of Mathematics at the University of Bahrain and continued to serve the University of Bahrain in that capacity until 2005. Prof. Al-Hawaj’s profound contributions to the fields of Mathematics, Computer Sciences, and Education through numerous research papers, books, media debates, and public discussions are vast. His unstinting dynamism, paradigm-shattering innovation and superlative achievement in the academic and social arena have accorded him a number of prestigious awards and honorariums. 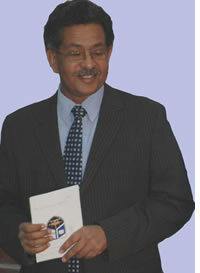 Prof. Al-Hawaj has extensive experience in leading large multi-dimensional institutions. Mr. Yasir is the Director Abu Dhabi Excellence Program – Government of Abu Dhabi. He holds MSc Engineering Management from Brunel University, UK and MSc Project Management from George Washington University, USA and is currently completing his PhD at Salford University, Manchester, UK. Yasir was the Manager for Abu Dhabi Award for Excellence in Gov. 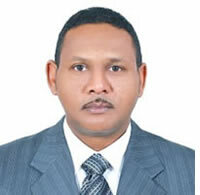 Performance, General Secretariat of Executive Council (2008-2011); Project Manager, Special Project Department, General Secretariat of Executive Council (2007-2008); Project Leader, Project Office Division, Abu Dhabi Retirement Pensions and Benefits Fund (2005-2007) and he also worked as Mechanical Supervisor Engineer (Maritime field), National Petroleum Construction Company (NPCC), Abu Dhabi (2002-2005). Yasir is a business oriented professional with 10 years of experience in Organization Development through the use of Total Quality Management (TQM), Project Management, Strategy Formation and Performance Systems. He led various change management programmes at different levels (Government, Organization and Departmental) with a strong belief in continuous improvement, customer service, people development, innovation, creativity, knowledge management and modernization. 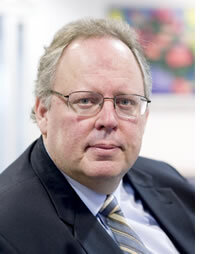 Prof. Oldham is a Honorary Professor with SPRU at the University of Sussex, UK. Prof. Oldham trained as a geophysicist and spent several years in the exploration research laboratories of Standard Oil Company of California. He left the oil company to accept a Fellowship which enabled him to study the Chinese language and to initiate a review of science and technology policy in several Asian countries. After a year with the Scientific Directorate of OECD he helped start the Science Policy Research Unit at the University of Sussex and was its Director from 1980 to 1992. He was also a member of the team which designed and drafted the Act of the Canadian Parliament which established the International Development Research Centre. He directed the Centre’s Science and Technology Policy Programme for ten years and served as Science Adviser to the President of IDRC from 1992 to 1996. 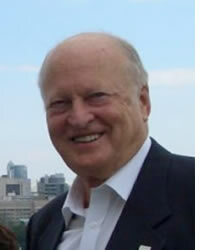 Prof. Oldham has served on numerous science and technology policy advisory bodies. He was a member of the Hong Kong Committee for Scientific Co-ordination and represented Hong Kong at the 1963 UN conference on Science and Technology for Development. He was chairman of the UN Advisory Committee on Science and Technology for Development and the UK delegate to the UN Commission on Science and Technology for Development. He chaired the Commission’s working groups on Gender and Science and Technology, and on Information Technologies and Development. He has continued to be a member of the Commission’s Gender Advisory Board. He also served on the WHO’s Advisory Committee on Health Research. He participated in the IDRC science and technology reviews of South Africa, China, and Vietnam. He was also a member of the international panel appointed to review ICSU in 1996. Although Prof. Oldham has worked in many developing countries his main interest has been with science and technology development in China. He was an adviser to that country’s Minister of Science and Technology from 1997 to 2000. Ihab Tewfik is the Course Leader for BSc. (Honours) Human Nutrition, Human and Health Sciences Department, University of Westminster. In addition to his nutritional biochemistry degree, Ihab holds Master and Doctorate in Public Health Nutrition, Nutrition Department, University of Alexandria, as well as PhD from London South Bank University. As chairman of the International Forum for Public Health (IFPH), Ihab’s international research agenda explores the relationship between the obesogenic environment and health outcomes of individual and population. His work embraces the effects of nutritional exposure during childhood and epigenetic risk factors for later non-communicable diseases. This research includes population interventions to improve opportunity for health during early life, and methods for the scaling up of interventions to achieve community level impact. Ihab has been at the forefront of promoting international public health nutrition and in particular among vulnerable group. His current public health intervention is to delay the progression of HIV to AIDS among people living with HIV. This will also explore how diet quality and food security limit opportunities for individual and community development. Ihab is Fellow of the Higher Education Academy-UK, with 17 years experience teaching Public Health-Nutrition and related subjects in number of academic institutions. 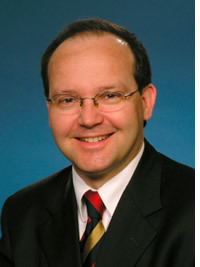 He is also Fellow of the Royal Society of Public Health (FRSPH) and has carried out 11 research projects for UNICEF-UN in aspects of public health nutrition intervention as well as Two Food Standards Agency (FSA) projects on food safety and has published extensively in international peer reviewed journals. Ihab has worked as international consultant for BC and various Ministries of Health in the Middle East for more than 10 years. As Registered Public Health Nutritionist-UK, Ihab has organised several international conferences, workshops, CPD and short training courses and he is key team member to develop international public health education programmes to communicate relevant competencies. Ihab is collaborating with many universities in the GCC, EU, Middle East and Africa, on aspects related to knowledge transfer and public health nutrition intervention programmes that employ dietary diversification and behavioural modification approaches. Ihab is currently the co-Editor-in-Chief of the International Journal of Food, Nutrition and Public Health as well as member of the Editorial Advisory Board (EAB) of some renowned international journals; Nutrition Bulletin – British Nutrition Foundation and the WJSTSD. 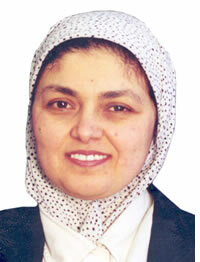 Professor Wafaa Saleh is the first female Professor of Transport Engineering in the UK. She has over twenty-five years’ experience of research in multiple disciplines of transport engineering. Wafaa gained sufficient knowledge and expertise to engage in research, in its widest sense, through qualifications and experience. Wafaa is a leading authority in her profession, with widespread professional and public recognition. She has published extensively specialised books and chapters in books as well as refereed journal papers. Her work at international level has been recognised through her appointment to the Chair of the scientific committee of the International Symposium of Travel Demand Management and as a member of the scientific committee of the INSTR.